Established in 1986…30 years of experience. Thank you for coming to our site. We hope you find it helpful to our your sprinkler and landscaping needs. Please realize that our site only represents a fraction of the work that we have done, or that we can do. We are always up for a new challenge with customers who have special or unique requests. In addition to the pictures you will find on our site we can and have built large driveway entrance signs, archways, and have even created an inukshuk (bolders stacked to look like a human). 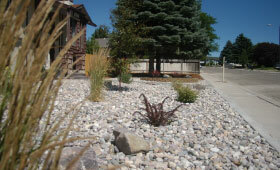 We can also place large boulders on your property with names or addresses sandblasted into them. Does Your Yard Need Some Help? 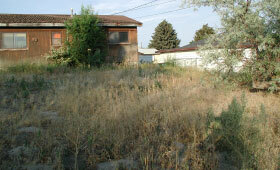 Do you walk outside and wish that your yard attracted people, instead of attracting the police? See what we can do to help. There is a reason that we have been in business for over 25 years. 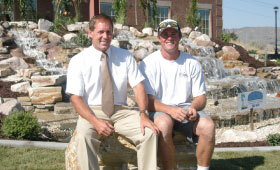 Come learn about us and what we can do for you and your landscaping and sprinkler needs. Are you trying to save water and money while making your house more appealing? Zeroscaping might be for you.